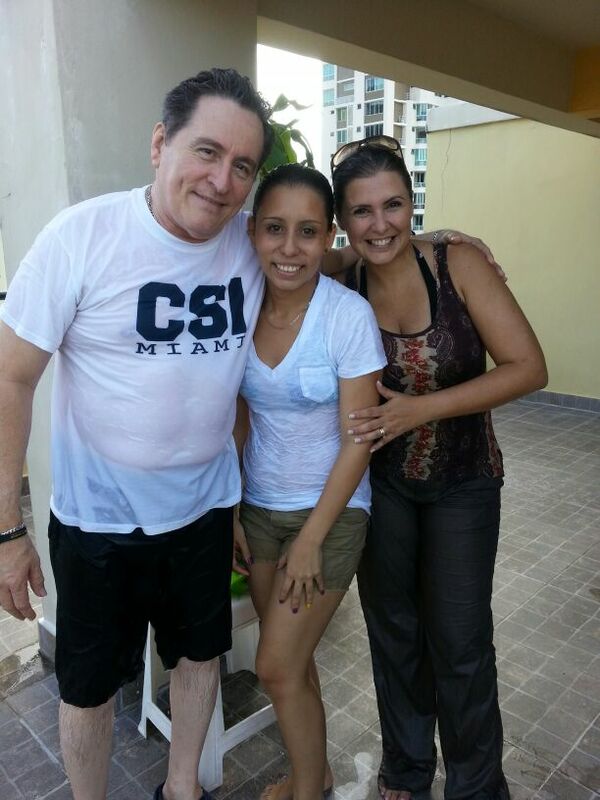 The greatest joy in our ministry in Latin America is to watch believers take baptism. Last Saturday, our church family celebrated three of them. I’ve included a few pictures of the celebration and the folks taking the steps to baptism. Several family members and guests turn out for the celebration that we thought would be cancelled due to heavy and persistent rains over the last few days. We firmly believe that the public celebration of baptism can itself be a chance to proclaim the gospel to invited guests and friends who may not know the Lord. Before the actual baptisms, our pastor and I spent some time praying a blessing over the candidates before they take to the waters of the pool that is in our social area on the roof our apartment buildling. Just prior to that, he shared a short message about baptism that gives the candidates a chance to affirm their faith in Christ, as well as offer a public explanation of salvation to all who have gathered. Baptism is a symbol of a profession of faith in Jesus Christ. It is a sign that one has decided to be a follower of Jesus. Our whole mission is dedicated to helping the church be more effective in helping people become fully devoted followers of Jesus, and baptism is the most public fruit of our teaching. Celebrating baptisms is what “Done” looks like. The journey to faith that each of these three people has taken is unique and different, and our church helped to shape that journey to faith. They are each on their own place in faith in Christ, but this public declaration is a sign of their commitment to follow Jesus. One of the greatest joys I have in this ministry is participating in a believer’s baptism as a minister of the Gospel of Jesus Christ. To be able to participate in a person’s faith awakening process, sometimes in large ways, and sometimes in small ways, and sometimes as a fruit of this work, is what makes this effort worth it.